Readers sometimes feel bitterness at the end of the series, and some authors do too, leaving the last book to come across like a watch running down. And Moonlight Mile by Dennis Lehane does run down, even for someone who had never read previous Kenzie-Gennaro installments. But I'm not sure that this is necessarily as bad as some readers suggest. The private investigator couple, nearing the possible end of their careers (with Angie Gennaro already focused on finishing her studies and raising their daughter), raises something beyond a hard-boiled Boston crime novel. Lehane adds hindsight to weighing societal morals against individual morals again. Moonlight Mile brings Patrick Kenzie full circle to Gone, Baby, Gone the fourth crime mystery novel in the series that was adapted into a movie directed by Ben Affleck. The story revolved around a missing 4-year-old girl, Amanda McCready, whom Kenzie is hired to find. In the Gone, Baby, Gone, Kenzie's moral compass is primarily tested in finding and returning the girl to an unfit and neglectful mother. In Moonlight Mile, he is asked to find the girl again, now 16, eventually leading him to confront whether or not he made the right decision 12 years earlier. The book opens with Kenzie finishing a different case, outsourced from a private investigation firm that is considering whether or not to hire Kenzie full time. The case quickly reintroduces the author's gift for social commentary and sizes up his protagonist, a private detective growing increasingly weary of taking on jobs that inevitably protect the guilty. As this case is wrapped but before Kenzie is assigned another, he is asked to find McCready again because neither the police nor the media is pursuing a disappearance that the girl's mother denies. Kenzie, still damaged by the personal strain the initial disappearance caused, declines until someone sets him up and attempts to threaten him off the case. The conflict between professional and personal obligation draws taut. While a significant portion of the quick read revisits old characters and the wounds they endured in the sometimes splintered definition of justice, Moonlight Mile offers an interesting resolution to the various lives left behind by its counterpart novel for fans. At the same time, Lehane doesn't leave many loose ends in covering the back story, making the novel work well enough as an independent story. This time around, Kenzie faces a new challenge as his personal life — his wife and child — are put in a clear and present danger as he crosses paths with the Russian mob. While most of the mobsters, including boss Kirill Brozkov, are thin characters, Yefim stands out as personable, charming, unflappable, threatening, and empathically dead. For Kenzie, he is the other side of the same coin, enough so that Yefim makes a strong case for Kenzie to walk away. 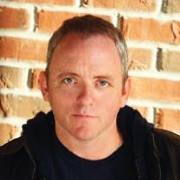 Dennis Lehane is the author of nine novels, three of which have been made into movies, most notably Mystic River, Shutter Island, and Gone, Baby, Gone. Like many authors, Lehane worked his fair share of odd jobs, ranging from waiting tables to being a counselor for mentally handicapped and abused children. The latter experience no doubt served as the inspiration for Gone, Baby, Gone in so far as it may have raised the original question about societal and personal morals. Are children better off with their sometimes grossly flawed parents or some other guardian with the best intentions? In Moonlight Mile, Lehane winds down that question with an answer some people may not want to read. 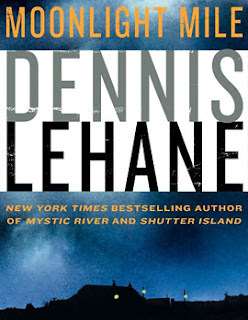 Moonlight Mile By Dennis Lehane Burns A 3.8 On The Liquid Hip Richter Scale. It's easy to understand some fans expressing disappointment in the novel, despite Lehane's apparent ease with a weathering character who has worked too long in an occupation that consistently places his feet on either side of the moral line. Kenzie has aged, and not necessarily in the best way. At the same time, there is a progression in the character that is difficult to dismiss. Both his gritty Boston charm and aloofness might make him all the more real, even if we don't want him to be that. What is more distracting, perhaps, is that Lehane does occasionally dispel the sense of nail-baiting urgency with poorly timed cynical or satirical observations that only a man who has given up would do. Moonlight Mile makes the cool cut in that it is still worth sharing on the scale. You can find Moonlight Mile: A Kenzie and Gennaro Novel on Amazon. The book is also available at Barnes & Noble. From iTunes, you can find it on iBooks or audio. The audiobook is read by Jonathan Davis, who does especially well lending a weathered voice to Kenzie. As an aside, Lehane has some interesting questions to ask about the book on his website.